In 1972, executives from Warner Brother’s had a problem with one of the most popular attractions at Jungle Junction. The reptile house had an hourly show that featured highly poisonous snakes. The issue was that the handler was allergic to the anti-venom if he was bitten. Park management needed a find a method to quickly transport the handler to a medical treatment facility. Warner Brothers contacted local physician Dr. Arthur Zampella and together, application was made to the Federal Aviation Administration for a heliport at Idylease. In the off possibility of a snake bite, the handler would be transported to Idylease and then flown by air to a trauma center where he would be treated by alternative methods. The Idylease Helistop is a remnant of Jungle Habitat from 40 years ago and still maintains the FAA license. 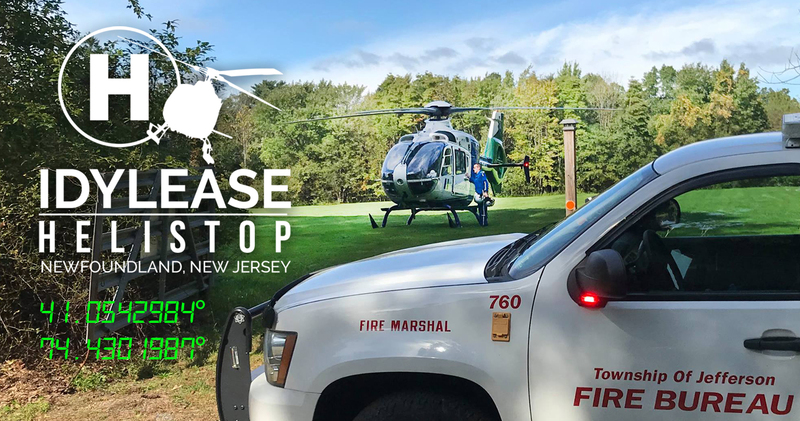 The heliport is currently used by the NJ State Police if major accidents occur in the area. Patients are transported to Idylease and flown to the nearest trauma center from the landing field. 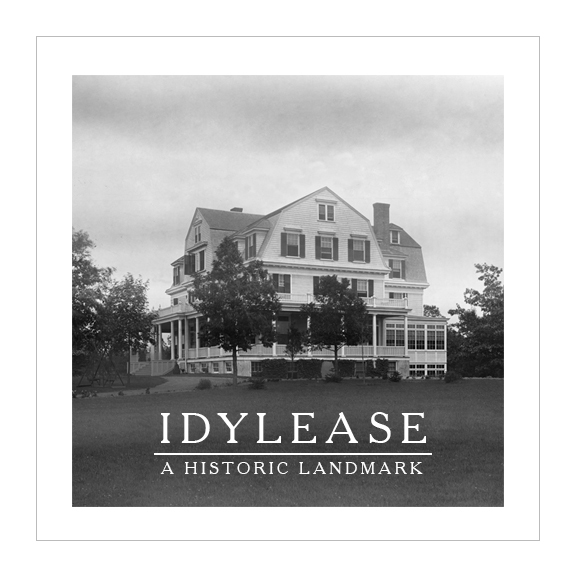 Richard Zampella is the Owner & Operator of Idylease, a former resort hotel located in Newfoundland, NJ which is a historically significant example of early 20th century resort architecture in Northwest, New Jersey. Join us on Sunday September 24th at 1PM, for a walking tour of Idylease. The Greenpond History Association invites you to a gathering at the Historic Landmark located at 124 Union Valley Road in Newfoundland, NJ. The tour will be hosted by Richard Zampella who is the owner & operator of Idylease. The tour will highlight the role Idylease played in the early history of tourism in Newfoundland. Join us on Sunday October 24th at 1:00, for a walking our of Idylease. The Greenpond History Association invites you to a gathering at the Historic Landmark located at 124 Union Valley Road in Newfoundland, NJ. Edgar Day was born and raised in Brooklyn, NY, but was no stranger to the area. His family owned a summer house on Dunkers Pond off Paradise Road for many years. As a young man Edgar spent his summers exploring the Newfoundland area. It no doubt made an impression on him, even after the family sold the summer home to the North Jersey Water Company that was acquiring land to build the water system for the City of Newark, NJ. A graduate of the Long Island School of Medicine, Dr. Day choose to return to Newfoundland, as the spot to build his facility. He purchased 112 acres from the family that owned & operated Brown’s Hotel. At the turn of the 20th century. The Brown family owned a parcel of land in Newfoundland that exceeded 1,000 acres. There he set about the task of constructing an Inn that would maintain the most modern mechanical & sanitary systems that could be devised for the time. Dr. Day was a proponent of “Nature Cures” whereby regular diet, scientifically administered baths, massage and exercise could cure a myriad of ailments. Dr. Day would employ a staff of Norwegian-trained massage therapists, and maintain facilities for the “most approved scientific apparatus for administering baths, sprays, and douches.” Potential guests, in the accepted social order of the day, were reassured by the policy boldly stated on the first page of the brochure: “Hebrew Patronage Not Solicited.” Idylease’s prohibition of tubercular cases reflected modern understanding of tuberculosis as a transmissible infection caused by bacteria. Tragically, Dr Edgar Day would only live 4 years after the completion of Idylease, but his nephew George would continue on as the General Manager of the hotel until his retirement in 1920. Dr. Daniel Drake who had been the resident physician at Idylease after Days death, would go on to purchase the property from the Estate of Dr. Edgar Day. Also practicing medicine at Idylease was Dr. Leo B. Drake, Daniels brother who was a 1917 graduate of the Harvard School of Medicine. The Inn would flourish for several decades until the advent of the automobile would render the area obsolete as a tourist destination. The railroad, which had maintained a schedule of 13 station stops per day to Newfoundland, was facing an uncertain future. No longer tied the rails as the sole means of transportation, travelers could now drive to more distant locales such as the Adirondacks or the Poconos. At the peak of the tourism industry in Newfoundland, there where a dozen or so hotel that catered to the tourists that had flocked to the area. Most notable was; Brown’s Hotel, The Green Pond Hotel, and the Hotel Belair. Dr. Drake saw the necessity in to keep the Inn functioning and in the mid 1930s, he concentrated to the needs of those suffering from Tuberculosis. It is ironic that after Idylease had prohibited tubercular cases for many years, it would cater exclusively to the disease. This change was a result of the failing tourism industry. The Inn would go on to be listed as one of several prominent Tubercular Sanitoriums on the East Coast. With the development of the TB vaccine, Dr Drake set about to treat those that had already been infected prior the vaccine. Slowly the patient base began to dissipate and Idylease would fall on hard times. Dr. Drake would shutter Idylease in 1943 an he passed away in 1951. Idylease would sit vacant for a period of ten years with the windows boarded up and its plumbing shattered. Dr. Arthur Zampella had graduated from the Boston University School of Medicine in 1943. He had always had an interest in geriatric care and the elderly. It was his wish to find a facility where he could practice medicine and serve the needs of an aging population. As a lifelong scholar, Zampella’s interest in this area were reflected in his authorship of many published medical articles, chapters and books on various aspects of aging, care of the elderly, as well as ethical, socio-economic and philosophic discussion in these fields. In a article entitled, “Sampling of the Attitudes of the Aged,” Zampella explored the dilemma of the aging process whereby the elderly are characteristically striped of their social identities after being admitted to a nursing homes. He felt that a sterile environment, devoid of a homelike atmosphere reduced life expectancy. For many years he searched for a facility that would meet his vision and in 1954, he was introduced to Idylease. Dr. Zampella purchased Idylease from the Estate of Dr. Daniel Drake and and converted Idylease into a Nursing Home. The renovated facility maintained a staff of 11 doctors and employed 65 people. Idylease Nursing home closed in 1972. Dr. Zampella operated Idylease as a congregate living facility until his death in 1992. From 1992 to 2016 Idylease languished in uncertainty until the property was purchased by Richard Zampella, the son of Dr. Arthur Zampella. Since then, the estate has seen a resurgence with various restoration projects conducted on the structure. Watch this internet short film about the history of Idylease in Newfoundland, NJ. Cinematography & Editing by Richard Zampella.